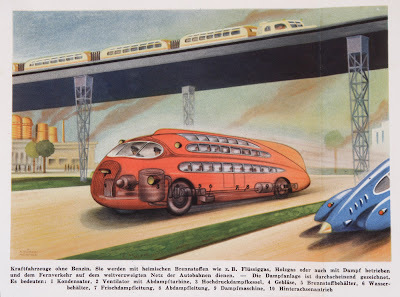 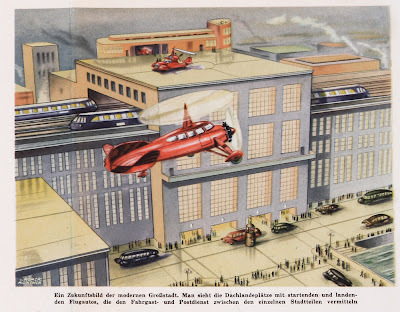 Heliport/Railway Station Martin Kappler has scanned and uploaded a German poster from 1941 which shows Third Reich images of the paleo-future. 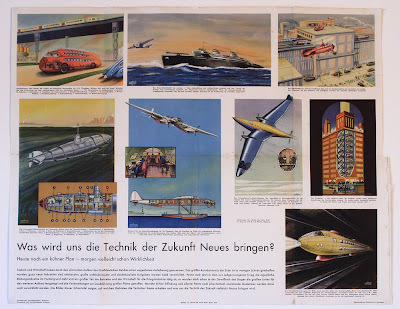 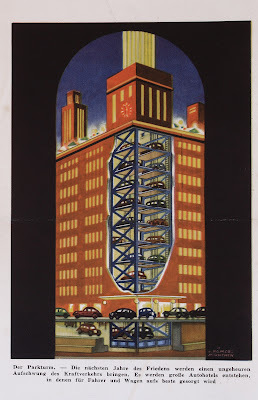 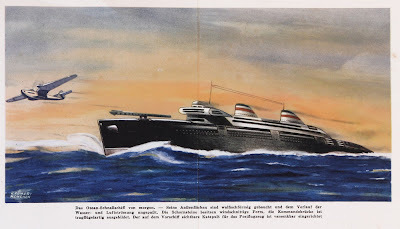 The poster was in a book called Durch die weite Welt vol. 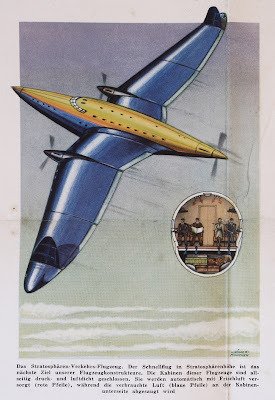 XIX, one in a series of books for boys. 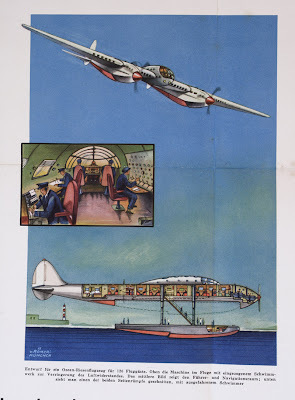 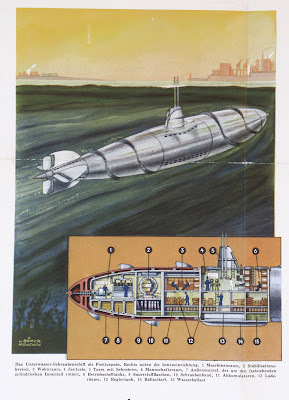 Many thanks to Flickrfy for the tip, and of course, Martin Kappler for scanning and translating this poster. 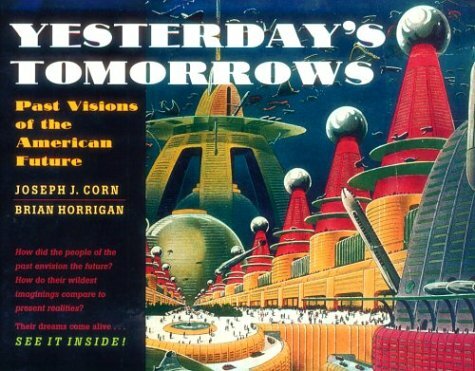 What new things will the technology of tomorrow bring? 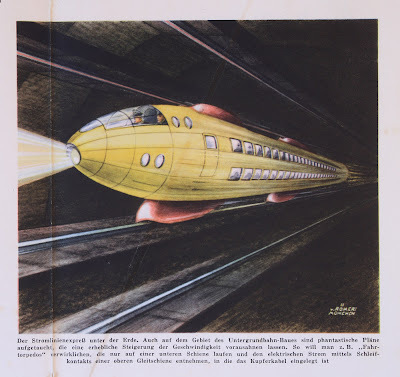 Underground Train called "Driving Torpedo"